Well, first of all today is my baby sister's 27th birthday. My...what happened! She grew up!!! HAPPY BIRTHDAY my dear sweet little sister...you've grown into a woman I admire so much. I love you!!! So Jenny's sweet little birthday has inspired me to make all kinds of pretty things. I posted some pics yesterday I think of new cards that have been a result. FUN!!! I'm hitting on all the birthdays in July with these! Having fun myself writing notes to folks. It does a person good to get a handwritten note these days...its like whoa!!! A real letter!!! In MY mailbox? My Aunt was just telling me the other day when she got her mail that she almost dismissed the card I sent her for one of those direct mail companies that try to trick you by using "real" looking handwriting...of course, upon closer inspection she realized it was from me :) hee hee! Scott has been pickling like a crazy man! Between our garden and my Dad's bounty of cukes -he has quite a stash of the mouth puckering dill pickles. Yum! I think he needs a cute label for the top of these, don't you? See...more inspiration!!! Its only 7:19 a.m., I got up with the rooster (Scott) and had my coffee, watered my flowers and felt like blogging...or writing. Isn't blogging wild? I've enjoyed seeing friends and acquaintences find much success by simply blogging like crazy! Of course-- they definitely have a gift, talent to share. I never intended to find success as a blogger, but it certainly interests me in the way that it all works. I always thought it as a forum to share...not that folks want to know that much about me particularly...but when I get fun ideas I've always loved to share those ideas. Let other people feel my joy and maybe it can bring them some joy too! In years past, it was mostly in the arena of scrapbooking, of course. Nowadays...I don't have the motivation to scrapbook much...I'm not really sure what category my blog falls into now. Just your average randomness, I guess! LOL! But seriously, I just feel like I'm in this in between stage...transitioning. I feel impatient. Going to school is awesome...but sometimes frustrating...because there are so many possible outcomes and I just have to be patient and faithful. I do feel very fortunate that my schedule is not packed so tightly this summer-- just working a few days a week at Inscriptions and doing one class. So I have had time to think about the direction I'm going in with my online adventures...the truth is most entrepreneurers and businesses almost HAVE to have an online presence in some way to grow. 1- Party decor- think 3-D banner!!! You know I'm a DIY kind of gal, right?! This year I really tried to create a fun birthday party for my kids. For each one, I really went all out decorating and making it unique. I usually make their cakes too. One, its less expensive (sometimes) and two, I feel like that is something special they will remember. Now, I'm no cake decorating expert, mind you, but I do my best. This time...I decided to go very simple. Abby had a pool party with a few friends from her class and rather than cake getting smeared all over the place, I thought cookie cake and cake pops might be a better idea? Thursday I mentioned this idea...upcycling cake packaging to create a cute display! So here's what I did! I made cake balls or cake pops...easy peasy. Bake a boxed cake mix (I doubled the recipe) and crumble the cake in a bowl. Mix in a tub of frosting. Mix up your favorite flavors...I did strawberry for pink cake filling. Shape the mixture into balls (use a cookie scoop!!!) and FREEZE! Dip into almond bark or candy coating...use sticks if you like. Drizzle icing or dip in sprinkles before completely dry. Tape the cake boxes together to secure. And choose a fun scrapbooking paper to wrap the boxes in. I used this cute paper by Bella Blvd. The paper probably won't cover all the way to the bottom, but I just added a pretty ribbon to cover that. Punch holes for the cake pop sticks...use something sharp because you have to go through the second cake mix box. Add the ribbon and a cute sign. I designed a complete birthday kit that I will share soon. Don't miss this freebie! Can you can see below how I used the frosting can? I'll share more later! Wanna put together a party like we did...check out my Happy Girl printables!!! Love this fresh pasta salad with tuna. The whole family likes it and it's totally "totable" for the brown bag the next day. Box of your favorite pasta (I used bow ties this time)- cooked, drained and cooled. Mix all ingredients- it's best if you let the salad chill for a few hours, but I never think that far ahead! you can make it your own by adding or omitting ingredients. We have this with a green salad and garlic bread. A family fave! My kiddos love McGriddles...yummy sweet pancake sandwiching a sausage patty from McD's. We get them occasionally. I love hearty breakfast ideas that are quick and easy to prep in the morning. I made pancakes for the kids this morning and brought out some sausage patties to go along. These are from Target (we don't eat a lot of sausage, especially "faux" sausage, but I picked these 30% less fat patties up thinking it would be something in a pinch). I was cooking a lot of pancakes thinking I was freeze the exess for quick breakfasts...and the obvious idea came to me...homemade McGriddles!!! I made the pancakes the same size as the patties and put the sandwiches together and froze them. A minute or so in the microwave and viola! Easy breakfast! I just thought I'd share this idea...though I didn't get a pic of the final product! Ooops! Free for ALL Friday: You deserve a Milano Moment! Just wanted to link up a new printable that I designed for Milano Maven, Laurie at Tip Junkie. How cool is that!!! I was granted permission to use trademarked graphics and logo to create a sweet, simple card and tag design! Go check out Milano's Facebook page and share YOUR Milano moment. Pick up a coupon for .55 cents off a package right here! So go read up on it, head to the store and pick up a package (I had to test them out in order to design this little printable, of course and they are heavenly) and share a Milano Moment with someone special! I know with all the hubbub of getting back to school lots of us probably deserve a little moment alone with something sinful...yummy! Download the PRINTABLE HERE at Executive Homemaker!!! 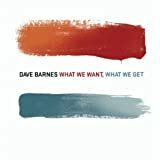 Dave Barnes. Oh my. Funny thing Abby said the other day..."Mama, you're in LOVE with Dave Barnes!" Easy peasy iced coffee: half and half + leftover cooled coffee + sweetener of choice (sugar :) + a dash of vanilla! YUM! My cute little BYO Rambler... taking my lunch is fun with this little cutie! I take TWO water bottles and I freeze ONE so that it keeps my perishables (sandwich, chicken salad, fruit---) and the other water chilled! PERFECT! I wrap the bottles in a paper towel to prevent condensation from getting things moist. Today I had a chicken and red pepper hummus with lettuce and pickles sandwich, grapes and a few potato chips. YUMMY! You can check these bags out on Amazon or pick up 2 at Sams Club for like $15 (that's where we got ours). My classes at UAFS. Wow. Very cool classes very cool teachers so far. I'm lovin' it. I was so nervous to do this. And it feels SO right. Been super duper DE-DUPER busy...trying to get in the groove. Watch out world!!! Enjoying getting up super early with the chickens (no, we don't really have chickens-yet ;) and starting my day. Love feeling a sense of purpose again. Love my church family. We are so blessed each time we attend a service. God is so good. Not much time...just wanted to drop in and share these favorites and blessing of late. Have a wonderful week! I think for lots of us...the memory of coffee is "strong" -- pun intended! LOL! My Dad is a 2-3 pot a day-er...and the coffee is almost ALWAYS on at "home" no matter the time of day. This may be weird...but when we were kids, we just loved dipping buttered toast in Dad's creamed coffee-- soggy, crunch...mmmm! I don't do that anymore, but sure did love it back then. I love to get up with Scott (not that I always do especially this summer) and we have quiet time over a fresh perked pot of coffee. (We love our Farberware Percolator ...reminds me of cooking coffee on an open fire --camping :) Or if I miss the early session with Scott, the coffees still hot (and a little stronger the way I like it) and I still get up before the kids are up and percolate over my to do list, check email and just soak up the silence. Good stuff. And now coffee is a big business isn't it?!? Its not just Folgers and Maxwell House anymore. LOL! Loved those old Maxwell House commercials, I think --when someone came home on Christmas morning (from college), was getting engaged, etc... Don't I wish I had some stock in Starbucks!?!? $4 bucks for a cup of brew...wow! Thanks to friend Linda, I've found a new LOVE...this Starbucks VIA® Iced Coffee ! (oh no!) I'm thinking this will be a lifesaver and easy to tote on the go this fall. And it is YUMMY! No creamer required...and I love me some french vanilla creamer! I see its cheaper here on Amazon ($4.95 per box) than in the stores so if you have Amazon Prime of course you get free shipping! Deal!!! Can you tell I'm loving Amazon lately. It's just way too easy! Or I found a coupon here on the Starbucks site if you wanna pick up a box at your local Starbucks store. Now I think I'm going to steal back this AWESOME cup I gave my Mama for her birthday since she prefers Sonic styrofoam! LOL! And I'll be all set up for portable iced coffee consumption! School starts in little more than a week. So, I'm trying to wrap my brain around the fact and get in gear stocking up some breakfast and lunch things for the kids...and thinking it needs to be nutritious for everybody, healthy and satisfying for me and Scott too. My kids love breakfast burritos! Tasty, portable and a great source of protein for them! And I'm thinking I can make a batch of these up anytime and freeze them for the coming weeks. So I did this morning. I scrambled 5 eggs in some super duper lo-cal butter type substance (Best Life). LOL! Used approximately 1/2 egg (which is maybe a couple tbsp) per tortilla. Cooked/browned 1 lb. of turkey sausage (this stuff is pretty good! I'm trying to stay away from pork and its calories and fat --I bought Honeysuckle White turkey sausage). Add about 1/4 c. per tortilla. Pulled out some cheddar cheese (1 tbsp.) and tortillas. You could use low carb, high fiber tortillas to lower the calories but I just used what I had on hand. I don't do fat free cheese :) --you could if you wanna. This amount of stuff will make 10 (maybe 11) breakfast burritos and I calculated them to be around 260 calories with 13 g protein and 13 g fat. Kind of high in fat...might have to rethink the ff cheese :) and pick up low fat tortillas to cut that down. Five burritos fit snugly in a quart size ziplock which is great for us since that would cover everybody for breakfast. YUMMY! But at any rate...these little dudes are super tasty with a dollop of salsa, are edible driving down the road or even while you're putting your face on in the a.m. And your kiddies can even fix them by their selves! About 30-45 seconds in the microwave. I'm going to keep thinking on breakfast ideas...I have a great banana chocolate chip muffin recipe to share, pancakes freeze great and we also love boiled/poached eggs on english muffins or toast for a quickie. Add some cheese and turkey sausage--wowee! Wanna see something super HOT and COOL...for only $12 bucks! while you're at it...check out all the IU goodies here!